Dr. Ni is a scientist in the field of molecular biology and genomics. He received his Ph.D. in Botany and his B.S. in Biochemistry and Molecular Biology at a well-known and prominent university in China. His cutting edge research involves areas such as genome sequencing which may help to prevent and possibly cure diseases like cancer and genetic disorders. He is a Research Fellow at the National Heart Lung and Blood Institute, which is a section of the renowned National Institutes of Health in the U.S.
Dr. Ni retained us to file an EB1a Immigrant Visa Petition for Alien of Extraordinary Ability. 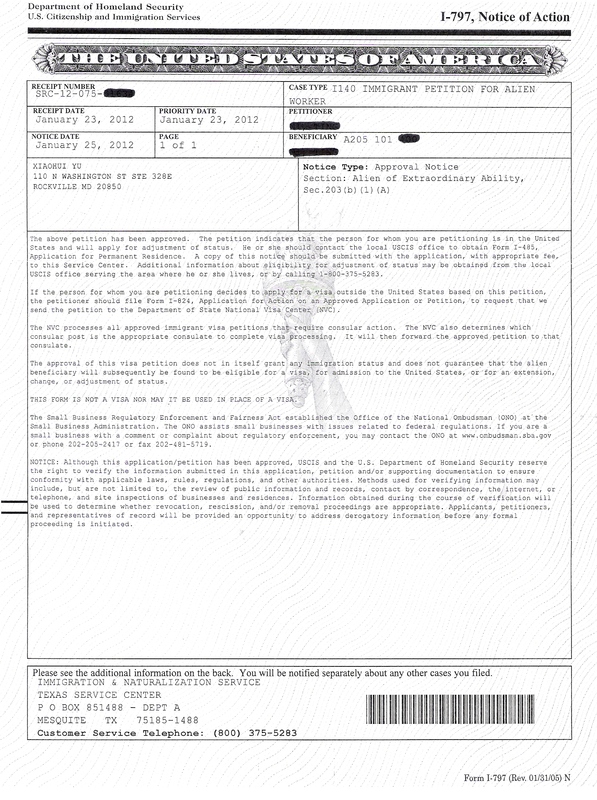 The information Dr. Ni provided showed that he was qualified to apply for EB-1a case, but his case was not very strong. Our attorneys took a skillful and creative approach to his particular case in order to construct a convincing petition that highlighted his important contributions and abilities. Our team persistently worked all intricate aspects of Dr. Ni’s case to prove his extraordinary abilities, by presenting evidence for the EB-1A criteria and emphasizing his sustained national and international acclaim. Based on our plentiful experience, we utilized his influential articles in top journals as well as other evidence such as review invitations, media reports on his work, and recommendation letters from scientists at front-ranking universities and research institutes to convey to USCIS the importance of Dr. Ni’s research work, his superb abilities, and his great impact on U.S. healthcare. 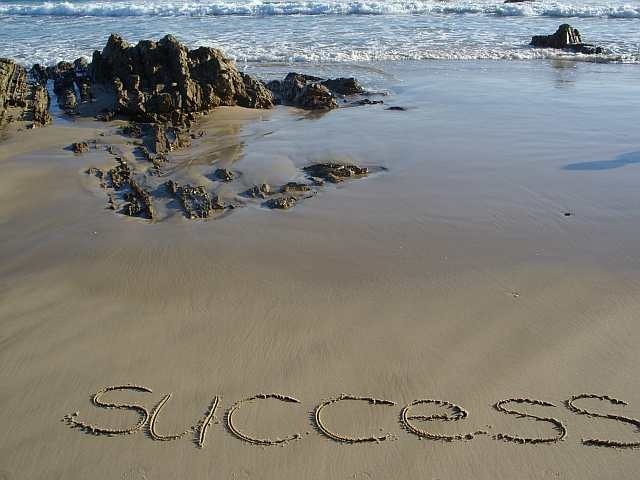 Our attorneys worked diligently to prove Dr. Ni's research to be at an outstanding and groundbreaking level by skillfully utilizing the provided information. 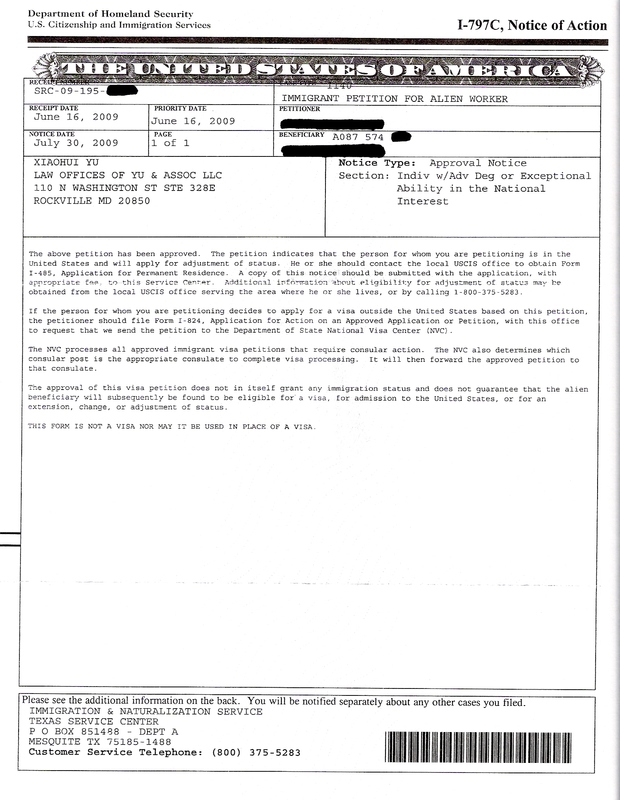 Thanks to ourdedication and profound experience in handling such profiles and cases, and our skillful presentation of the evidence which showed that Dr. Ni was without a doubt an outstanding researcher, we received the approval notice for Dr. Ni’s Alien of Extraordinary Ability petition on the same day as the electronic receipt notice, which is unprecedented especially in a situation such as this. Although Dr. Ni’s case was not exceptionally strong, our attorneys saw great potential in his research abilities, and we collected key evidence and presented it convincingly, leading to the petition’s quick and unequivocal approval. 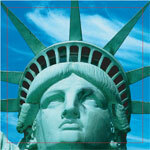 Amazingly, the case was approved by the USCIS in one day. Our team of attorneys expertly constructed an outstanding petition to match Dr. Ni’s outstanding abilities and we are all extremely gratified over the miracluous result of this case in such a short period of time. Dr. Wu is a scientist in the field of neurological disease research. He obtained his M.D. and Ph.D. at top universities in China and the U.S. He conducts research at a well-established University in the Department of Neurology, which is one of the most advanced departments in this field in the world. His research findings proved highly significant for the development of treatments for Alzheimer’s disease and other diseases. During his research career, his many findings contributed to the development of treatments for Alzheimer’s disease and other diseases, which have been published in many notable science journals of international acclaim. Our attorneys have proved that Dr. Wu is an alien with extraordinary ability who is at the top of his field in neurodegenerative disease research. In the petition, we provided evidence demonstrating Dr. Wu’s original abilities and achievements through his published works, his nationally and internationally recognized awards, memberships in several scholarly and scientific societies, his participation in international conferences, presentations/speeches to the scientific community, and by his judgment on the work of others as a reviewer. 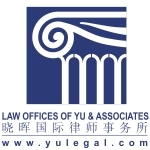 We filed Dr. Wu’s EB-1(a) petition in December 2007 with the USCIS Texas Service Center, and it was approved without a Request for Evidence in April 2008. The case was approved in only four months.